If the bill as written were to pass, the D.C. Lottery would become sports betting’s governing body and only the Lottery’s sports betting app could be accessed within city limits and used to wager upon. 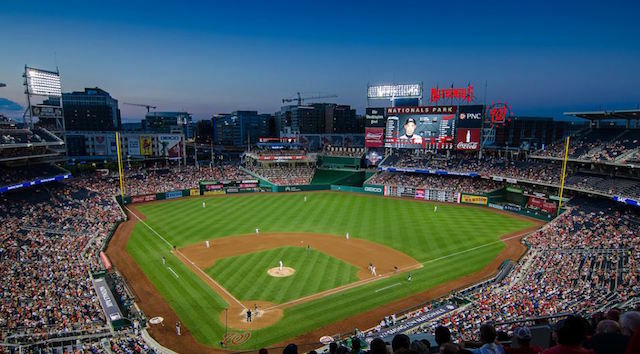 In other words, a closed market, with exceptions for sports venues such as Nationals Park, which will likely partner with its own operator, whose app could be used within the stadium but not outside it. The intention, of course, is to drive all of the mobile and internet sports betting business to the Lottery. 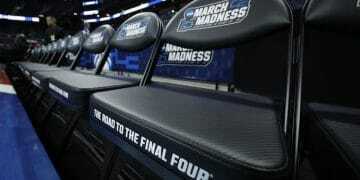 The Cost of Sports Betting Exclusivity? The Lottery’s offering to sports bettors likely won’t be as attractive as in other jurisdictions where commercial operators compete in the same marketplace. According to council comments at a mark-up hearing last week and as explained by Finance and Revenue Committee chairman Jack Evans, every time a sports bet is made, industry professionals say that 95 cents of every dollar wagered is returned to winners. The other five cents goes to casinos to pay for overhead, like operating expenses and taxes, and whatever remains from that five cents is profit. Under the D.C. model, for every dollar bet, the lottery would pay out 80 cents to winners and keep 20 cents, which presumably would cover operating expenses before allowing for a bigger profit than a commercial vendor would make. Sports Handle can’t figure out how this model would be attractive to a sports bettor, and it turns out that Evans — and likely other Council members — can’t either. The question is why the D.C. Lottery is pushing for this model. Evans said during the hearing and in an interview that he and the Council deferred to D.C. Lottery CFO Jeffrey DeWitt, who told council members that this setup would net the city the most amount of revenue from sports betting. But will it? Savvier sports bettors shop around for the best lines and the highest payouts. A lot of people in D.C. are transients from nearby Virginia, which is looking to legalize in 2019. Maryland will get around to it at some point. If the Lottery is offering a sportsbook with pricing so far outside sports betting norms, people may not use it, or might get churned out quickly and not come back. And many may stay in the black market or enter that market for the first time — with no other option in city limits. In another odd twist, the D.C. Council appears to be pandering to the professional leagues on two levels. 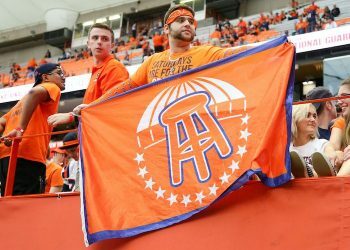 While the latest version of the bill does not have a direct payout to the leagues, it does allow for sportsbooks in five professional sports venues in the District and bettors may again be limited to using the sports betting apps of the the partner of the professional team that plays in the venue. The five venues are Nationals Park (MLB), Audi Stadium (MLS), CapitalOne Arena (NBA and NHL), the Wizards practice facility and the yet-to-be approved/opened RFK Stadium (NFL). As an example, should the Washington Nationals choose to partner with MGM or Caesars or FanDuel — or all three — as their mobile/online operators, fans will likely only be able to use those apps within Nationals Park. Though the bill does not explicitly call for the D.C. Lottery app to be turned off within the stadium, the option exists, and it would seem likely that pro teams would want to exclude the D.C. Lottery app in favor of their own partners’ apps. 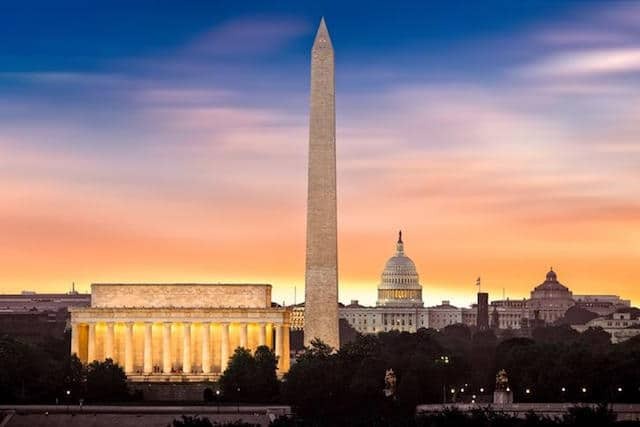 Overall, the bill in its current form, appears to give the D.C. Lottery a monopoly on sports betting within the city, unless a bettor is in a stadium or a restaurant or bar that partners with a mobile operator. In the bill, the Council sets strict guidelines for who can get a sports betting license, but there is no limit on the number of licenses that will be issued. 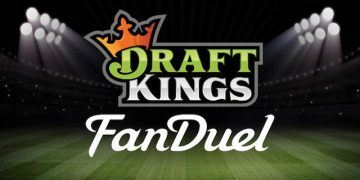 So, for example, FanDuel could partner with a restaurant and their app could be used within that space. Or 888Sport could partner with a bar, and it’s app could be used in that space. And said venues, just like the professional stadiums, will have the option to partner with multiple apps and to block the D.C. Lottery app within their confines. The Council on Wednesday clearly wasn’t 100 percent committed to allowing the D.C. lottery a monopoly and Evans pointed out that the bill does include language that would allow it “to pivot immediately and go to a multiple app situation” if the single-app model isn’t favorable. Multiple amendments are expected at Tuesday’s first reading before the bill goes to a vote of the Council of the Whole on Dec. 18. While a payout to the pro leagues took center stage at the mark-up session and was ultimately cut from the bill, it would seem possible that council members would turn their attention toward considering the real value of allowing the D.C. Lottery a monopoly on sports betting.